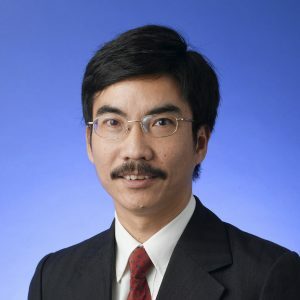 Prof. Chi-sum Wong was born in Hong Kong and graduated from the Faculty of Business Administration of The Chinese University of Hong Kong (CUHK). He received his PhD from Department of Organisational Behaviour and Human Resources Management of Purdue University in the US. He joined the Department of Management of CUHK in 1990 and he is now a Professor. Prof. Wong has published and presented more than one hundred and eighty articles in academic journals and international conferences. His co-authored article concerning employee trust in Chinese joint ventures published in 2002 was selected by Emerald Management Review as one of the best 50 management articles among the 20,000 articles published in the same year around the world, and another article on localisation of human resources in mainland China was selected as one of the five best papers in the international human resource management area in 2009 by the Academy of Management. Prof. Wong has served the editorial board of various journals such as the Academy of Management Journal, International Journal of Business Studies, Journal of Occupational and Organizational Psychology, Journal of World Business, and Asia Pacific Journal of Management. Prof. Wong has conducted research for the United Nations Centre for Regional Development and the Employers’ Federation of Hong Kong, and has served as consultant and trainer for private organisations, the World Bank, and various Government and social agencies in the People’s Republic of China (PRC), Taiwan, Macau, and Hong Kong. C. S. Wong (2016), Emotional Intelligence at Work: 18-year journey of a researcher, Routledg. Y. Mao, C. W. Wang, and C. S. Wong (2016), “Towards a model of the right-hand person“, Leadership & Organization Development Journal, 37(4), 520-539. Kenneth S. Law, C. S. Wong, Ming Yan, and Guohua Huang (2016), “Asian researchers should be more critical: The example of testing mediators using time-lagged data,” Asia Pacific Journal of Management, 33:319-341. Y. Mao, C. S. Wong, and Kelly Z. Peng (2013), “Breaking Institutionalized Corruption: Is the Experience of the Hong Kong Independent Commission Against Corruption Generalizable?” Asia Pacific Journal of Management, 30:1115-1124. Millissa Cheung and C. S. Wong (2013), “Work-family/family-work Conflict: the Moderating Roles of Gender and Spousal Working Status,” Asia Pacific Journal of Human Resources, 51:330-346. Millissa Cheung, Terence T. M. Lai, C. S. Wong (2012), “Factors that Influence The Level of Problem Gambling: A Macao Case” The Journal of Gambling Business and Economics, 6(1), 49-64. Y. Mao, Zhengmin Peng, and C. S. Wong (2012), “Indigenous research on Asia: In search of the emic components of guanxi,” Asia Pacific Journal of Management, 29(4), 1143-1168. C. S. Wong, Millissa Cheung, and Kelly Z. Peng (2012), “Reliability of General Mental Ability and Emotional Intelligence Tests of Chinese Respondents,” Nanjing Business Review, 9(2), 116-126. Dong Liu, C. S. Wong, and Pingping Fu (2012), “Team Leaders’ Emotional Intelligence, Personality, and Empowering Behaviour: An Investigation of Their Relations to Team Climate.” In Advances in Global Leadership, Emerald Group Publishing Limited, pp. 71-97. Wong, Yui Tim, C. S. Wong, and Hang-yue Ngo (2012), “The Effects of Trust in Organisation and Perceived Organisational Support on Organisational Citizenship Behaviour: A Test of Three Competing Models,” The International Journal of Human Resource Management, 23(2), 278-293. C. S. Wong (2011), 經營管理的歧路及華人管理學界的反思. 組織與管理, 四卷一期, 163-174. C. S. Wong, Ping-man Wong, and Kelly Z. Peng (2011), “An Exploratory Study on the Relationship Between Parents’ Career Interests and the Career Interests of Young Adults,” International Journal for Educational and Vocational Guidance, 11(1), 39-53. Millissa Cheung and C. S. Wong (2011), “Transformational Leadership, Leader Support, and Employee Creativity,” The Leadership & Organization Development Journal, 32(7, 656-672. C. S. Wong, Ping-man Wong, and Kelly Z. Peng (2010), “Effect of Middle-level Leader and Teacher Emotional Intelligence on School Teachers’ Job Satisfaction,” Educational Management Administration & Leadership, 38(1), 59-70. Lynda J. Song, Guo-hua Huang, Kelly Z. Peng, Kenneth S. Law, C. S. Wong, and Zhijun Chen (2010), “The Differential Effects of General Mental Ability and Emotional Intelligence on Academic Performance and Social Interactions,” Intelligence, 38, 137-143. Kelly Z. Peng, C. S. Wong, and Hong-sheng Che (2010), “The Missing Link between Emotional Demands and Exhaustion,” Journal of Managerial Psychology, 25(7), 777-798. Zhengmin Peng, Hang-yue Ngo, Junqi Shi, and C. S. Wong (2009), “Gender Differences in Work Commitment of Chinese Workers: An Investigation of Two Alternative Explanations,” Journal of World Business, 44(3), 323-335. Kenneth S. Law, L. Song, C. S. Wong, and D. Chen (2009), “The Antecedents and Consequences of Successful Localisation,” Journal of International Business Studies, 40, 1359-1373. C. S. Wong, Kenneth S. Law, and Guo-hua Huang (2008), “On the Importance of Conducting Construct-Level Analysis for Multidimensional Constructs in Theory Development and Testing,” Journal of Management, 34(4), 744-764. Kenneth S. Law, C. S. Wong, Guo-hua Huang, and Xiaoxuan Li (2008), “The Effects of Emotional Intelligence on Job Performance and Life Satisfaction for the Research and Development Scientists in China,” Asia Pacific Journal of Management, 25, 51-69. C. S. Wong, P. M. Wong, and Kenneth S. Law (2007), “Evidence of the Practical Utility of Wong’s Emotional Intelligence Scale in Hong Kong,” Asia Pacific Journal of Management, 24, 43-60. C. S. Wong, M. D. Foo, C. W. Wang, and P. M. Wong (2007), “The Feasibility of Training and Development of EI: An Exploratory Study in Singapore, Hong Kong and Taiwan,” Intelligence, 35, 141-150. Y. T. Wong, Hang-yue Ngo, and C. S. Wong (2006), “Perceived Organizational Justice, Trust, and OCB: A Study of Chinese Workers in Joint Ventures and State-owned Enterprises,” Journal of World Business, 41(3), 344-355. C. S. Wong and P. M. Wong (2006), “Validation of Wong’s Career Interest Assessment Questionnaire and Holland’s Revised Hexagonal Model of Occupational Interests in Four Chinese Societies,” Journal of Career Development, 32(4), 378-393. Y. T. Wong, C. S. Wong, Hang-yue Ngo, and S. Lui (2005), “Different responses to job insecurity of Chinese workers in joint ventures and state-owned enterprises,” Human Relations, 58(11), 1391-1418. Kenneth S. Law, C. S. Wong, and Lynda J. Song (2004), “The construct and criterion validity of emotional intelligence and its potential utility for management studies,” Journal of Applied Psychology, 89(3), 483-496. C. S. Wong and Kenneth S. Law (2002), “The effects of leader and follower emotional intelligence on performance and attitude: An exploratory study,” The Leadership Quarterly, 13, 243-274.